The author of nine mystery novels and counting, Laura DiSilverio is a former Air Force intelligence officer. She writes the Mall Cop series (Berkley Prime Crime) and the Swift Investigations humorous private investigator series (St. Martin’s Minotaur). The third book in that series, Swift Run, hits bookshelves in Dec 2012. As Ella Barrick, she is the author of the Ballroom Dancing mysteries for Obsidian. 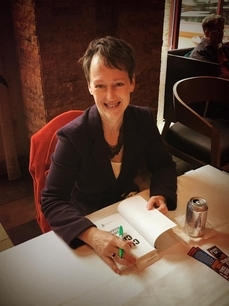 Her articles have appeared in The Writer and Writer’s Digest and she is a faculty member of Mystery University, sponsored by Mystery Writers of America, and serves as secretary for the national board of Sisters in Crime. She lives in Colorado where she spends her mornings plotting murder and her afternoons parenting her teen and tween, and tries to keep the two tasks separate. Find her at www.lauradisilverio.com or friend her at www.facebook.com/lauradisilverio. Laura's story, "Mercy Killing," was published in Uncommon Assassins.